Our restaurant was the one that introduced Galbisal gui (barbequed ribs). It has more-than-30-year-worth business know-how and tradition and has gained fame on account of its specialties. and then matured for 24 hours. Our customers love its taste, not to mention its quantity. 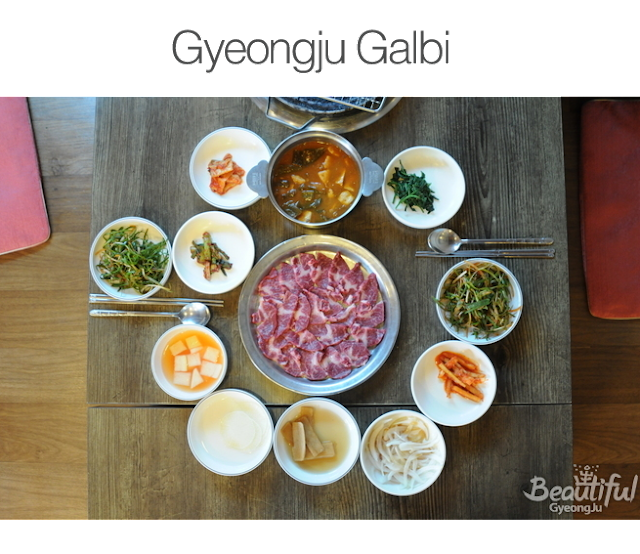 Our restaurant is frequented by gourmets from various parts of the country, including Seoul, Daejeon, and Busan. There are also many people from other cities who visit us and marvel at the magnificent taste of our ribs and other entrées, some even inquiring about the possibility of a business partnership or of acquiring and opening a franchise restaurant. For desserts, we offer arrowroot cold noodles, a dish that brings back childhood memories of eating a bowl of noodles at a village celebration. Serving high-quality but low-priced meat is the restaurant owner’s management philosophy.